Our complete Terms and Conditions can be found here. Ciao Wireless , a World Leader in RF and Microwave Amplifiers and is an ISO9001:2008 + AS9100C Certified Company. ​Ciao Wireless Product Warranty: Ciao Wireless guarantees that each of its products will be free from manufacturing and material defects and will perform in full accordance with applicable specifications provided. The term for this warranty is one year, starting from the date of shipment. Extended warranties are available upon request to the Ciao Wireless Sales Department. Products sold by Ciao Wireless shall not be considered defective or non-conforming to the buyers' order if they satisfactorily fulfill the performance requirements that were provided by the buyer to Ciao Wireless or as published in Ciao Wireless' product specification literature or in accordance with any written agreement between the Buyer and Ciao Wireless. This warranty does not apply to any products which have been altered or damaged by the customer, or were subject to accident, negligence, alteration, abuse, or other misuse. Disassembly of our products or removal of factory seals by anyone other than an authorized representative of Ciao Wireless, voids this warranty in its entirety. Ciao Wireless reserves the right to assess warranty status on any product returned during the warranty period. Ciao Wireless offers no warranty on accessories or internal parts not directly supplied by us and does not warranty damages to other equipment located before and after our products. This warranty is not transferable unless otherwise agreed upon, in writing, by both parties. 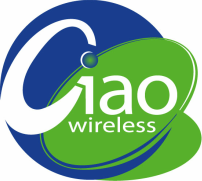 ​All products returned to Ciao Wireless for warranty or non-warranty repair require that an RMA (Return Materials Authorization) be obtained prior to shipment of the product to Ciao Wireless. An RMA number may be obtained via E-mail to sales@ciaowireless.com, via phone, 805-389-3224 or via FAX, 805-389-3629. The RMA number shall be clearly labeled on the outside of the packaging. Products returned to Ciao Wireless for repair or replacement without an RMA number may be returned to the customer at customer cost without action at the discretion of Ciao Wireless. Products returned for non-warranty repair, or those determined to bye exceptions to the warranty by Ciao Wireless for cause, also require that a purchase order be issued for the estimated cost of repairs. No repair effort will commence on non-warranty items until the customer has authorized the repair and cost, if applicable. Ciao Wireless reserves the right to make changes in any of its products without incurring any obligation to make the same changes on previously delivered products. Ciao Wireless reserves the right to make changes and updates to this warranty as required. All components having been repaired by Ciao Wireless shall be warranted for that repair, for ninety (90) days from the repair shipping date. The buyer will prepay the shipping charges for all products returned to Ciao Wireless for repair; the seller will pay for the return shipping. The buyer will pay the full cost of inspecting, testing, and shipping charges for any units returned to us, by the buyer, and found to meet the applicable specifications or which were found not to be defective or which were not covered under this warranty. When replacement of a product is deemed to be necessary by Ciao Wireless, the warranty period for that replacement is the remaining warranty of the product for which the replacement was made, or ninety (90) days, whichever is greater. ​All matters regarding this warranty shall be interpreted in accordance with the laws of the State of California and any controversy that cannot be settled directly shall be settled by arbitration in the state of California.